There’s no doubt that this January will be an exciting month for fans of the Resident Evil franchise, as not only is a new video game in the series coming out on January 24, but also the latest zombie flick starring actress Milla Jovovich will be hitting the theatres later this month. 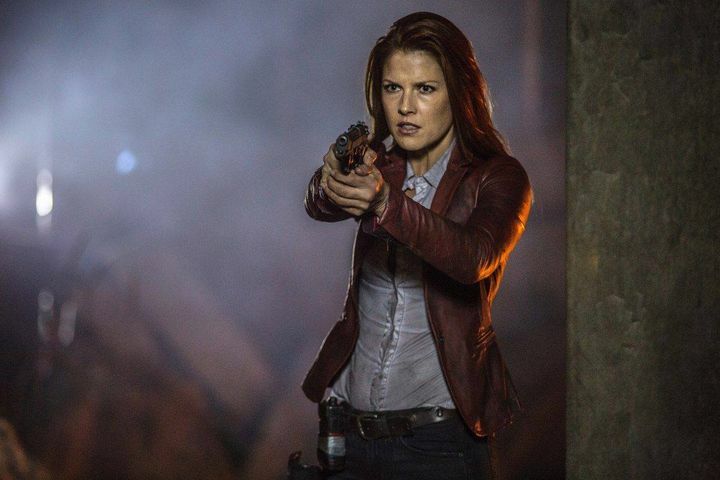 It remains to be seen, though, whether this upcoming Resident Evil instalment, which according to director Paul W.S. Anderson could be the last one of the series, will be able to top 2004’s Resident Evil: Apocalypse (arguably the best Resident Evil film to date), even though Anderson has hinted that The Final Chapter will be an explosive finale to the series. And in order to whet moviegoers’ appetites for the film, Sony has released an interactive teaser for the upcoming Resident Evil movie which allows viewers to enjoy the action from any angle, offering “an immersive 360 degree horror experience” according to Sony. Nonetheless, this is still an impressive teaser for a film that might end up being one of the big movie events of the year when it hits the theatres later this month.